Health & Happiness Interpreter. Exercise & Sports Scientist. An inability to sit still had me hooked on sports and exercise since early childhood. 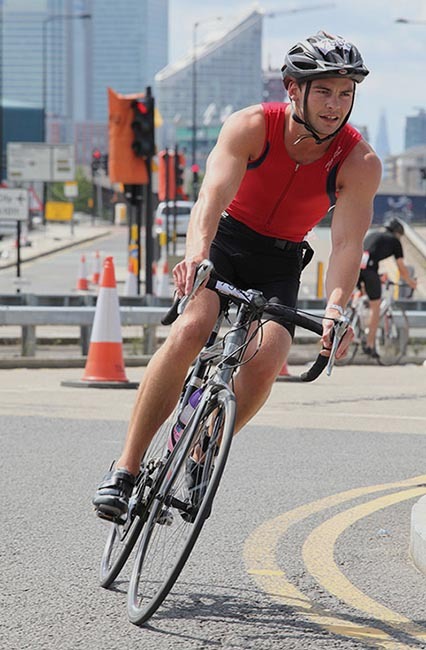 Naturally, a BSc in Exercise and Sports Science enabled me to study how I lived. An addiction to movement creates one hell of an appetite, an insatiable hunger for top quality nutrition – my passion. Working as a health coach, I help others incorporate nourishment into their lives. Mind, body and soul. Addictions can be very powerful drivers of behaviour. For the most part, they were pointed towards exercise, but when they weren’t, they were pointed towards food. I had lived under the assumption that calories in vs calories out brings about equilibrium – I had no idea of the functional aspect of foods. I have always lived ‘healthily’ in terms of exercise, and naturally would burn off the calories that I consumed. What I didn’t account for though, was what impact those foods were having on my body, regardless of calories. There’s no doubt about it, I was a sugar junkie. I also ate a lot of fast food because I found it gratifying as it played into the hands of a subtle but sabotaging food addiction. Ironically, whilst studying Exercise and Sports Science at the University of Exeter, I was living an unhealthy life – binge drinking, smoking and poor nutrition – all whilst keeping those calories off, of course. I continued to live in a similar way after Uni. I deeply wanted to live healthily, but began to realise that something was driving me to undermine how I truly wanted to live – my background noise. Negative thinking and the sabotaging choices that come with it began to manifest in my body. My digestive system was a wreck – I had IBS, my memory was terrible, my mood was unstable and I dragged my body around as if it were a corpse. This was a serious wake up call. I had some things to address in my life. I started to step out of my comfort zone, to perform introspective work, to make the choices I knew I should be. Great nutrition became my bedrock, it gave me the strength to challenge myself, to push outside of what was comfortable, to support healthy habits in outward directions. This is how Chewsomegood was born. Through changing the most fundamental of habits – my diet, I gained discipline to carry forwards. Some call diet and exercise keystone habits because of their powerful influence on other areas of your life – they aren’t wrong! Then things began to make sense. My attitudes, beliefs and perceptions about the world and myself were ones that created anxiety, depression and fatigue. They were the force that was driving my sabotaging behaviour, causing me to get in my own way. I had been trying to cover up a sense of depression and social anxiety with alcohol, and food. Instead of feeling these emotions and listening to them for guidance on how to change, I was blocking them. My resistance was manifesting in my body – my gut knew what was up. It was a message. What is your body telling you that your mind might not be aware of? I do what I love everyday. Continually learning, healing and growing through the lifestyle I have created is what I wish to offer anyone who wants the same. Chewsomegood is a combination of my personal experience with health and happiness, passion for food and nutrition, and formal education as a sports scientist and health coach. This forms a unique holistic model which places you at the centre, providing the resources necessary to connect with yourself, to nourish your mind ~ body, to support healing and growth. Everyone has their own life experiences, education, perceptions, beliefs and attitudes; this is what makes who we are and what we offer unique. Some of you might vibe with what I am about and what I offer, some of you may not. I urge that you find someone who speaks to YOU.